This is the week of all weeks, the time where we remember and find ourselves in the greatest story, the story of how God saved the world. Let us with all our faith and doubt, sorrow and joy, vice and virtue, approach these sacred mysteries with one-another, for we are confident that wherever we have found ourselves, Jesus died and rose again for us and will turn away no one who comes to him. 7:00pm: Service of foot washing and stripping of the Lord’s Table. 7:00pm: Reading of the Passion of Our Lord according to John, with prayers for us and for the whole world. 7:48pm: Blessing of the fresh fire, the readings of the great Old Testament prophesies of the resurrection, and the renewal of our Baptismal vows. As we celebrate our God bursting forth from the tomb, so is our faith renewed. 10:00am: Easter Baptisms. Please be in prayer for our 10 candidates who will become members of Christ’s Church Kealyn, Elsie, Rebecca, Matthew, Caitlyn, Stephen, Nathaniel, Simon, Joshua, and Ezekiel. Join in for potluck brunch immediately following this service. Sign up to bring food and find the address here. “Letting your hair down” is an idiom we’re all familiar with, and it implied basically the same thing 2,000 years ago as it does today, only on steroids. The Rabbis said that if a married woman let her hair down in public, it was legitimate grounds for divorce. That was reserved only for her husband. For an unmarried woman—unless she was living immorally—it would never, ever be done in public. It was a sign of openness, a show of intimacy. It’s something that would only ever be done in private with ones closest family members, at home. So, in this week’s Gospel reading, when Mary lets her hair down, she’s done something utterly scandalous…and absolutely beautiful. Second Sunday Sandwiches: April 13. Vestry meeting: April 13, 12:30pm. As most of you know, Redeemer has effectively outgrown its current facility. Thanks be to God! This was obvious to Bishop Julian on his last visit, and he encouraged us to begin looking for another suitable place to meet. The Vestry and I agreed, and began an informal search. Our lease, which expires at the end of June 2019, will not be renewed for a variety of reasons. God is giving us the push out of the nest we need! Informal has suddenly and urgently become formal. We must find another place to meet, and soon. This is a significant and daunting task that is simultaneously full of possibilities. To be candid, there are some other places (mostly well outside the city), and/or times (afternoons or evenings) we could meet, but my deep desire is to keep meeting on Sunday mornings if possible, and because of our mission to the city, in Annapolis. I genuinely believe we are called to it for Jesus’ sake. What I'm finding, however, is that given these parameters this simply isn’t going to happen by human desire or ingenuity. But it can happen by the power and strength of Almighty God, to whom nothing is impossible. And that, I believe, only through bold and consistent prayer in faith on our part. Therefore, I’m asking you to join me. We’re still in need of a few volunteers for Third Friday Bingo at Light House this evening 7-8:30 PM. It’s great fun. Email Ian if you can help. Third Friday Bingo: March 15th, 7:00-9:00pm at the Light House. ian@redeemerannapolis.org. I hope you’ll join us this Sunday as we make our thousandth—yes, thousandth—lunch for our homeless neighbors and share a meal together. DST begins Saturday night (or more accurately, Sunday morning at 2:00 AM). Despite the cold this week, spring ahead! Yay. Adult Confirmation Class: Begins Sundays in Lent, 8:45-9:45am. The Wiz: AACS Spring Musical, March 1, 2, 8, 9. Tickets here. During the Season of Lent, which begins next week, Redeemer will offer a Confirmation Class (Sundays, 8:45-9:45 AM) to all just curious about, or seriously considering this step of faith. 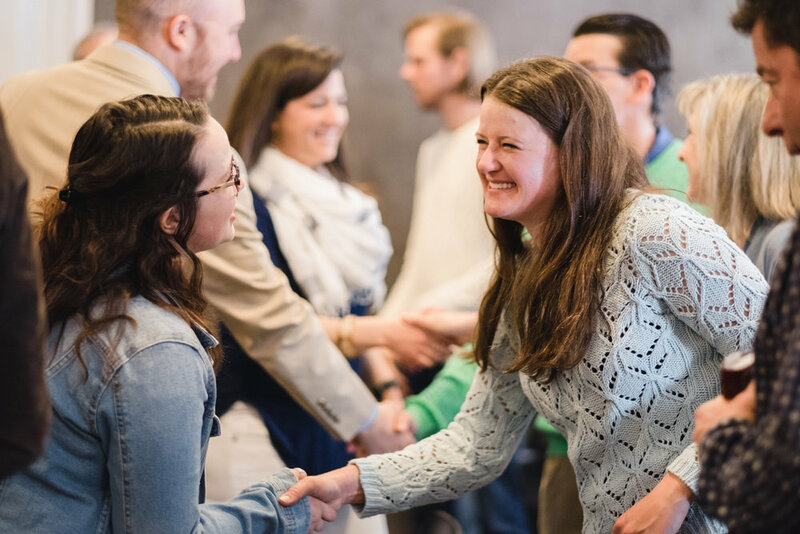 Confirmation, following the instruction, or catechesis, it requires, is the service in which believers in Jesus Christ make a personal and public profession of their faith. 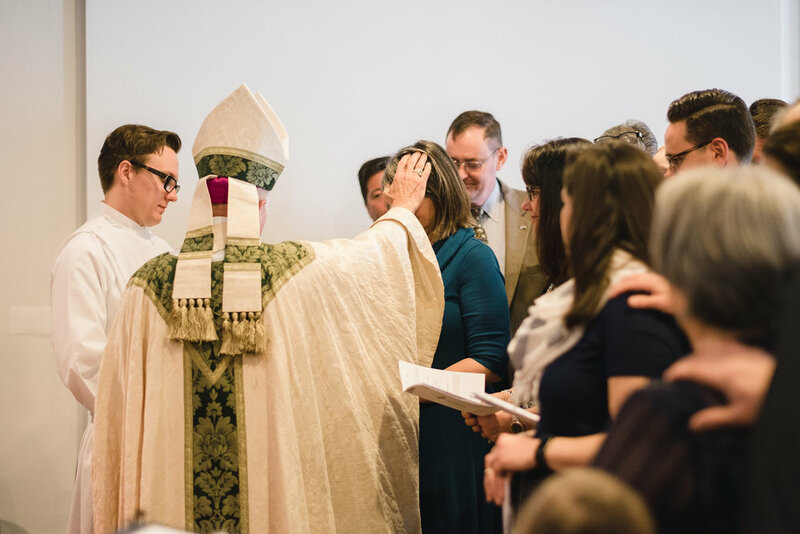 In Confirmation, the Bishop lays hands on and prays for the filling and daily increase of the Holy Spirit in those making this profession, as the Apostles did with baptized believers in the New Testament (2 Timothy 1:6-7; Acts 8:14-17; 19:6). Bishop Julian will be with us for Confirmations Sunday, May 19th. I genuinely hope you’ll consider attending this exceptional and enriching study covering The Lord’s Prayer, The Ten Commandments, The Apostles’ Creed, the Sacraments, and our Liturgy. Even if you make the decision to not be Confirmed you will grow in your faith. You can find out more about it by emailing Pastoral Assistant, Ian Burgess here. Maryland March for Life: March 4th, 4:30-9:30pm. Starts at St Mary’s Catholic Church, Duke of Gloucester St.
One of my flight students is just finishing up preparation for his commercial pilot check ride. That check ride with the FAA is a really big moment for him, because his life’s desire is to fly for the airlines. Before that happens, however, he’s got some work to do, which is where I come in (cue maniacal laughter). He’ll do it gladly, though, because nothing in flying beats the joy of being well prepared for that moment. The fact is, preparing for anything meaningful takes effort. We are on the cusp of one of the most important times of preparation in the Christian year: Lent. A season of preparation for the most joyous of celebrations: the resurrection of Jesus Christ on Easter morning. Lent begins with Ash Wednesday, March 6th. We will gather at The Studio that evening at 7. The ashes from last year’s dried-and-burned Palm Sunday palms will be imposed on our foreheads to remind us that is from dust we came and to dust we shall return. No getting around that reality. Contrary to some popular perception, the purpose of Lent is not punishment. Jesus took all of that on the cross. We don’t participate in Lent because we must. No one can (or should) make you observe Lent. You don’t get extra points with God. Lent isn’t even about becoming a better person. That isn’t in our control, and only pride allows us to believe otherwise. No, Lent is about laying down some of our defenses and giving ourselves an opportunity to be formed—or prepared—by God. Many people give up something meaningful during the season of Lent. Many also add something meaningful. Lauren and I are going to add a daily devotional called Lent with the Desert Fathers. You ought to consider it, too. You can buy it on Amazon here. We’ll sharpen our Lenten preparation by observing The Stations of the Cross every Thursday, 7PM at the Pip Moyer Center in Annapolis. We’ll then observe the Easter Triduum—Maundy Thursday, Good Friday, and Easter Vigil—at the Studio during Holy Week. Then, we’ll gather on Easter Sunday morning to celebrate the miracle that changed everything: the resurrection of Jesus. I don’t guarantee much, but this I can…prepare yourself well, and you will experience the joy of Resurrection as you never have. Stations of the Cross: Every Thursday in Lent. Begins March 7th at the Pip Moyer Center. ian@redeemerannapolis.org. 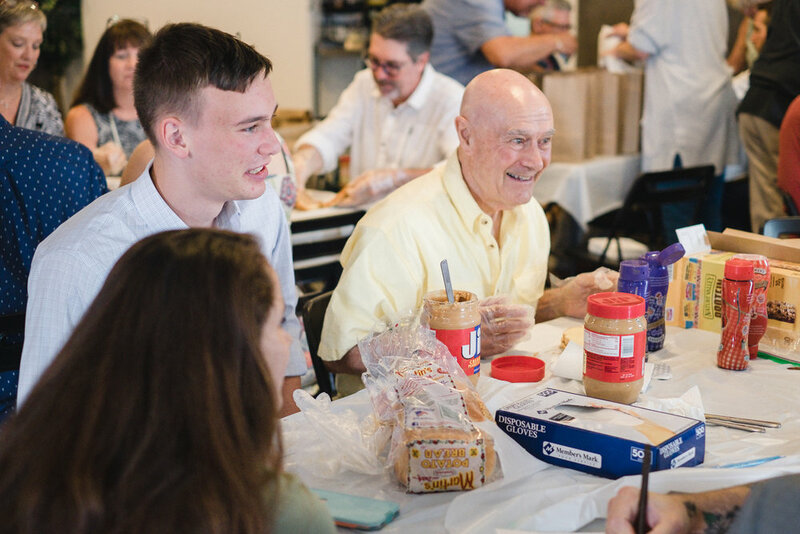 Last Sunday we made our 900th lunch to be distributed through The Light House. We also heard from Erik, who invited us to consider joining an Open Table, which is a 12 month mentoring program supporting someone who is leaving homelessness. He asked us to consider joining him for one hour per week for one year with one person who is ready to turn their life around. If you are interested in hearing more, email me to be put in touch with Erik. Today a team of people will be spending their evening playing Bingo with residents of The Light House. While our time and effort in making lunches serves many people, what is more transformative is our relationships. Our Lord calls his people to love others as he has loved them. Spending time playing Bingo is an important first step toward the kinds of relationships with our neighbors through which God’s love can be made manifest. There’s still time to join in! 6:30-9:00pm today. Email me to find out more. This week we are excited to begin a study hour with N.T. Wright’s Luke For Everyone. RSVP here and purchase your copy of the guide. This group will meet 8:45am-9:45am February 3-March 3. For safety’s sake, today’s worship service is cancelled. For those who can make it, we will meet Monday at 6:00 PM for “Second Sunday Sandwiches”. All are encouraged to pray Morning Prayer today in their homes. We have prepared the liturgy for today’s service which can be found here. In anticipation of sloppy roads, parking lots, and sidewalks in the morning, we’re going to postpone our worship service by one hour (starting time 11:00 AM), have a shorter service, and participate in Second Sunday Sandwiches immediately following. 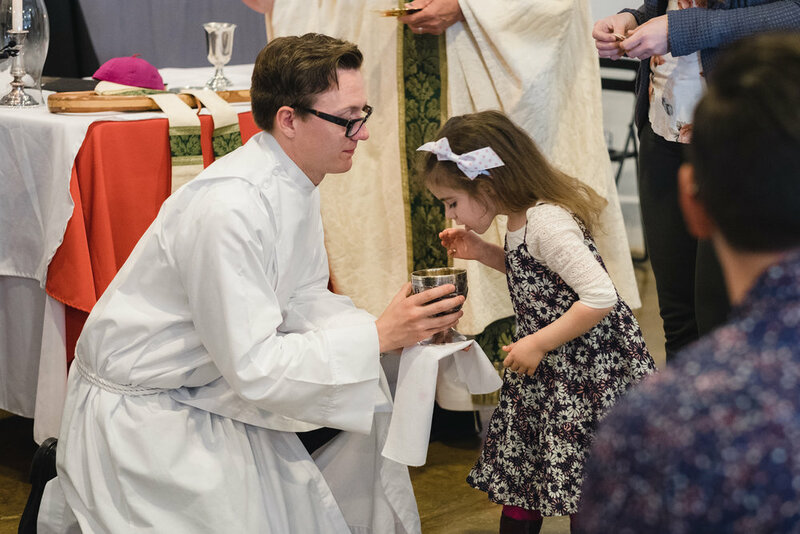 There will be no Children’s Liturgy. If the snow’s worse than we anticipate and we need to cancel entirely, it will be posted on our website by 9:00 AM. So please check www.redeemerannapolis.org before you venture out. In the first of four “Servant Songs” in the last third of the book of Isaiah (our Old Testament lesson this week), we see a case of blatant discrimination. The Lord’s Servant—Messiah—will, in fact, discriminate in favor of the poor, who are as vulnerable as a “bruised reed”, and those with hardly a spark of hope, like a flickering lamp in which the wick is barely smoldering. When we also discriminate on the poor’s behalf (the second half of this week’s Old Testament lesson), we join Messiah’s mission in a profound and ancient way. And so, we’re going to practice just a little blatant discrimination after worship this Sunday. Hope you’ll join us for worship at 10, and Second Sunday Sandwiches at 11:30. January 11-12: Dinner and overnight at Winter Relief with Bay Ridge Christian Church. Sign Up.